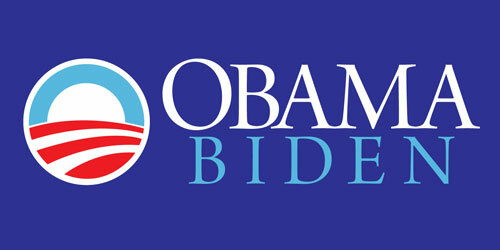 Investment Idea: $100 invested in Barack Obama for President. 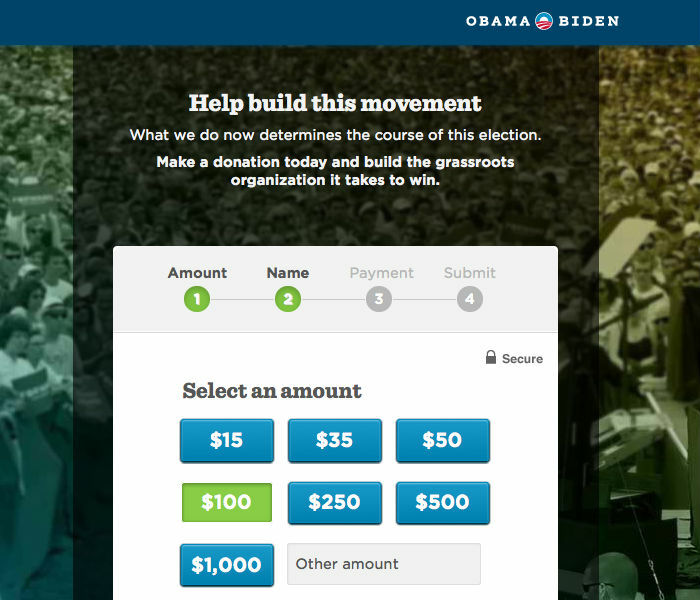 Total Time Spent on Investment: Five minutes going to Barackobama.com and donating. 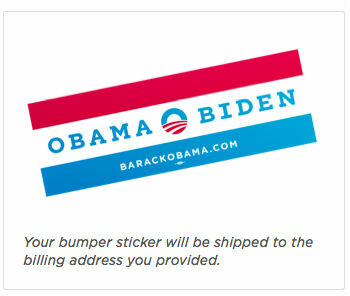 To complete this investment I just had to find where I could donate to the Obama campaign. I typed in BarackObama.com. And was welcomed by a great splash page. Simple and to the point it asked for my email and zip code the two most crucial things to any political campaign. (Clean and sleek if it had asked for my SS number I’d have given it)Obama since 2008 has been great at the splash pages and the sign up forms. The little details matter. 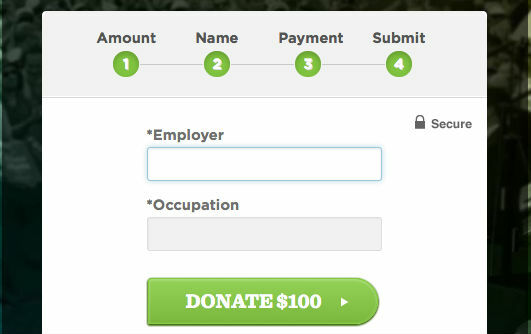 Note the green “Donate now” button. It isn’t red for a reason. If it were red people actually would not want to press it as often (Think stop signs and red lights). Since I had found what I needed I went ahead and filled in my email and zip code and pressed donate now. ($100 donation selected)Note again that my selected “$100” donation is highlighted in green not red. Also note that the lowest amount on the selectable donations was $15. $15 isn’t quite $20 so it seems like a bargain but at the same time it is still at least an amount of money that could make a difference in this campaign. The central amount on the selectable donations was $250. A nice round number not too outrageous but which could actually do some good in the scheme of the campaign. The next steps were simple putting in my address and credit card information. Straightforward and simple. The last step was bit odd I had to put in my employer and job. “If you are retired, please enter “retired” in both fields. I wonder how many people wrote down Bain Capital as their employer. And that was that. I had just invested $100 in the campaign for Barack Obama for president. Good luck Barack! With the upcoming presidential election just two weeks away and with the end of the debate series last night I decided it was finally time to take out my wallet and give to a cause I believed in. In this day of Super PAC’s and billion dollar campaigns its now more important to give what you can to make sure the outcome is what you want and what you think is best. Since an investment at its purest is a bet on risk and an attempt to make sure you are safest, I believe Barack Obama will keep this country safest. He will make sure this country continues to grow not just the wallets of Republican billionaire cronies. Obama’s policies on education (cough student loans cough), ending of the middle east wars, tough on banks, and universal health care are the exact things we need most to grow and maintain our dominance as the worlds last super power. We don’t need more ships in our navy, I’m not rich enough to benefit from any capital gains BS, and cuts to education sounds horrible. Take a step FORWARD, binders full of women is so 1940’s. Super rare and collectible bumper sticker. ($100 bumper sticker)This investment also helps to provide peace of mind that I could help in some way to make sure this country doesn’t return to the Bush era war spending and tax cutting. As well this is an investment in this country continuing its course of recovery over the next four years to make sure my other investments continue to grow. To find an up to the minute price of this investment and my other investments click here! Investing in a Money Market: A Waste of Time or Not?